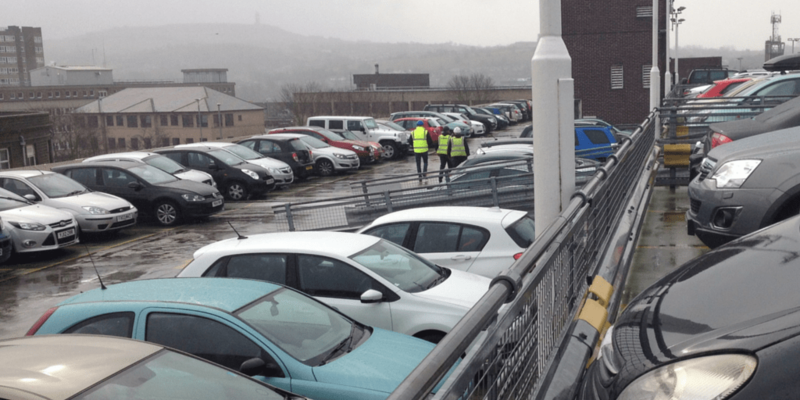 Do you park in Huddersfield bus station? If you regularly park on levels 5 and 6 of Huddersfield bus station you’ll know that the surface is not as great as it should be. The good news is that we are going to replace it and remark the parking bays. The bad news is it could take up to 10 weeks and we’ll have to close the top two levels whilst we do the work. The essential work is due to start on Monday 7 March 2016. During the works, level 3 of the car park will be made in to long stay parking, along with level 4, where the minimum daytime charge is 5 hours. Some spaces on level 4 will also be cordoned off. This is so that the contractors can safely store their equipment on site. Where else can I park in Huddersfield? There is long stay parking in car parks around Huddersfield ring road including Springwood, Cambridge Road and St Andrews Road. There are short stay car parks too.